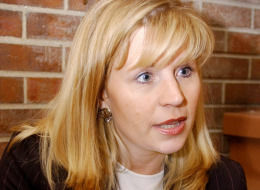 Liz Cheney: loyal daughter, misinformed, or just plain liar? FoxNews.com headline: Liz Cheney: Biden, Obama Administration Ignoring Al Qaeda Pursuit of WMD. Huh? Where’s she been for the last few years? She’s not a recluse or a dummy: it’s hard to conclude that she’s anything but a pants-on-fire liar. Worse, she’s strengthening Al Qaeda’s efforts to sow terror in the Western world. This entry was posted on February 15, 2010 at 12:46 pm and is filed under Politics. You can follow any responses to this entry through the RSS 2.0 feed. You can leave a response, or trackback from your own site. Oh, my, I’m laughing so hard I can hardly breathe! “Pant-on-fire-liar?” She clearly is. Liz Cheney lies repeatedly. How ugly! I also agree with your “worse yet.” But I wonder if her name was Liz Brown would what she says matter? Really? What has SHE done except for be the daughter of a vice-president? Why does she get so much press? Her father is becoming a disgrace. Although former VP Cheney was better in his appearance on This Week, he still was trying to control things as an armchair president. Oh, wait, he was the vice-president. VP Biden on the Press questioned whether Cheney was informed or whether he was simply not being honest. Yeah, maybe it is like father like daughter. This is very sad for one who has held such a high office and who had worked in government for years. His behavior has been dishonorable and despicable. It’s very sad indeed and dangerous as you noted. Sadly, Liz Cheney had a big job in the Bush State Department: Principal Deputy Assistant Secretary of State For Near Eastern Affairs. It’s a long title, but take my word as a former deputy assistant secretary of defense, it was an important job. The “principal” meant she was over several deputy assistant secretaries. And Near East–pretty scary.